Morning Report: New Question for Candidates, Pot or Not? Mariuana legalization takes focus in top law enforcement races, the Union-Tribune has (another) new owner and San Diego Unified still can't show that a cost-saving maneuver from nine months ago actually saved costs. Because of renewed tensions between the pro-pot state of California and the anti-pot Trump federal government, marijuana is now a local election issue. As our Jesse Marx reports, activists and other members of the marijuana industry are paying special attention to the San Diego district attorney’s and sheriff’s races. The county’s top law enforcement officials don’t write the rules, but they wield significant influence over how those policies are shaped and executed — which in turn shapes the legal and economic environments where regular citizens and businesses operate. Two progressive candidates for those offices seem to think marijuana is one issue where they can draw clear, meaningful distinctions with their Republican rivals. Her challenger, public defender Geneviéve Jones-Wright, says “district attorneys have no obligation to aid federal authorities,” and when it came to marijuana — or immigration — she would do no such thing. And Dave Myers, a sheriff’s commander running against his boss, says the pot shops are opening faster than the county can shut them down because Sheriff Bill Gore pushed for an unrealistic prohibition. • Also, while we’re on the subject: The legal marijuana marketplace is functional, but fragile. One month into the new regulatory system, California pot czar Lorie Ajax is warning of possible shortages in the supply chain. As of last week, the state Bureau of Cannabis Control had issued 214 retail licenses, but only 129 distributor licenses and 21 testing licenses, according to the Sacramento Bee. Beginning July 1, retailers can only purchase from other licensed entities, and they’ll be subjected to stricter labeling and product standards. Local governments are partly to blame for the uncertainty and potential bottlenecking of supplies. Many municipalities have opted out of the regulatory system, keeping the number of growers, manufacturers, distributors and testers relatively low. That puts upward pressure on the price of marijuana products, which in turn incentivizes black market dealers who can offer cheaper goods. News broke late Tuesday that Tronc, the ill-defined media company that owns the Union-Tribune, had reached a deal to sell it and the Los Angeles Times to the billionaire Patrick Soon-Shiong for a reported $500 million. The deal is not final. The U-T’s fifth owner in the last decade would be, if nothing else, based in Southern California but there’s much we don’t yet know about how to greet the deal, as Scott Lewis wrote in a news analysis Tuesday night. “While many at the U-T may find great relief in the news that the dramatic and awkward ownership of tronc is moving on, it’s still unclear what the future of the paper is locally,” he wrote. You’d figure if you’re going to get rid of 1,100 school employees, doing so would save money. But, unfortunately, it’s not clear that San Diego Unified has made sure that was the case after it promised last year that a move to encourage more retirements would be at least cost neutral. Our Ashly McGlone brings you the latest maddening dispatch on the opaque and nonsensical doings of Unified. The district offered incentives, also known as a golden handshakes or a Supplemental Early Retirement Program, aimed to get costlier employees off the payroll to replace them with cheaper, less experienced employees who were scheduled to be laid off during last year’s $124 million budget cut frenzy. School officials, including Superintendent Cindy Marten, repeatedly claimed this would be, at the very least, “cost neutral.” But nine months later, the district still can’t produce numbers to back that up. The retirees and employees who took their place may have ended up costing the district money it didn’t have. 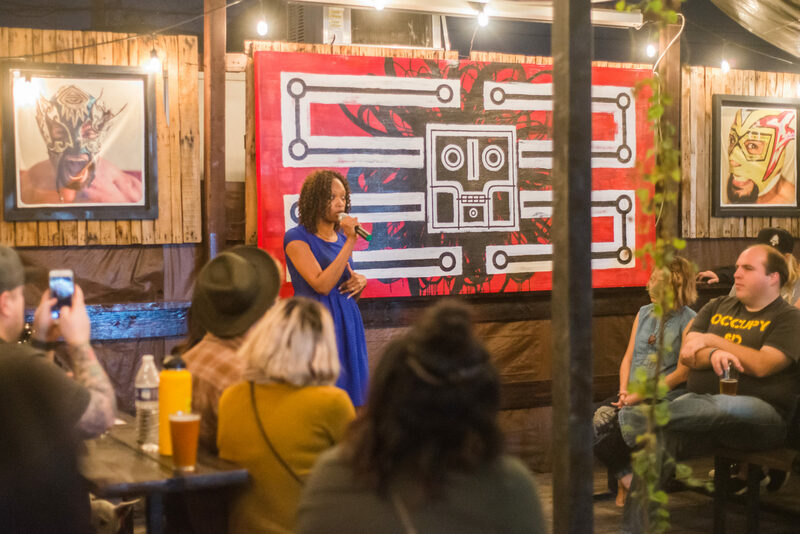 • In this week’s Culture Report, our newsletter on the San Diego arts scene, Kinsee Morlan looks at some of the forgotten contributions of the region’s Mexican-American artists, the two opposing rallies that descended on Chicano Park, vending carts in southeastern San Diego getting a creative makeover and more. Correction: An earlier version of this story mistakenly said the city of San Diego is looking to save money by increasing spending on healthcare for homeless people. It is a new County of San Diego initiative.